Company culture is important; your values will define the “unwritten ground rules” and atmosphere of your startup. It can’t be controlled, but if you communicate a smart message consistently (especially when recruiting) you’ll be on track for success. 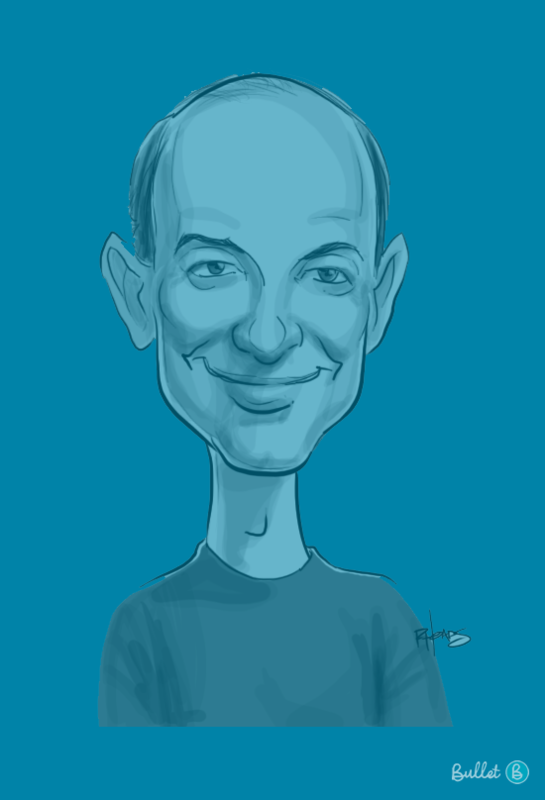 Jeff Bezos made Amazon a success by infusing the workplace with his values of customer-focus, low margins and long-term orientation. Consider this: two identical twins with the same educational background graduate from the same course. One goes to work in a tech startup and the other in an investment bank. Two years later, for fun, they decide to switch jobs for a week. Do you think they would fit seamlessly into each other’s workplaces? Consider this: Korean Air had the highest accident rate in the world in the latter half of the 1990’s, despite having state-of-the-art equipment and training. Why was this? As Malcolm Gladwell explains, it was because of the hierarchical nature of Korean culture, where subordinate co-pilots felt uncomfortable correcting errors of their superior head pilots. Whether a particular behaviour is acceptable or not often depends on the setting. Criticising one’s superiors might be more acceptable in a Dutch workplace (where egalitarianism is valued) than in a more respectful, hierarchical Korean workplace. In terms of organisations, certain pay systems might be more acceptable to investment bankers than to NGO workers. Psychologists such as Geert Hofstede and the GLOBE Project have helped figure this out. They have studied how people develop shared norms and values when they interact with each other over time. It’s not just a case of aggregated personality types (picture a bus full of investment bankers that don’t know each other: they may all share certain traits but there is no culture specific to that bus)- a culture is a shared meaning system; over time group interaction shapes how the individuals operate in the group. The shared nature of culture can be likened to organisational memory: a group of people with shared experiences will be able to recall more about those experiences together, meaning that their collective memory is greater than the sum of it’s parts. Different environmental influences shape how this plays out. One reason for the high collectivism in Asian societies has to do with climate: it’s better suited to rice growing, and successful cultivating a rice paddy requires a large group effort. So different organisational and national cultures have different norms: they have different values which affect the more tangible differences in practices that can be observed. In more practical terms, culture can be thought of simply as the unwritten ground rules that evolve in a company, a feeling that “this is the way we do things here”. The more intense the interaction between people in a company, the more entrenched a culture will be. The flip side of this is that culture can constrain a founder’s efforts. Introducing a new strategy or work process won’t work well if the company culture values the opposite, as Drucker went on to say: “Culture eats strategy for breakfast”. Sloppy practices will be harder to weed out down the line! At Amazon, Jeff Bezos aimed to revolutionise bookselling with technology. He knew this would require an outlandishly customer-centric focus. From the outset he made it clear to staff that messing up an order by half a day could result in the Amazon team having to work late on a Friday night, which was in keeping with his customer-focussed philosophy. Which kind of culture should you aim for? It’s up to you. The values of your startup will reflect those of the founders, and culture will evolve in it’s own way. There’s not much point in trying to micromanage your company culture, but successful startup culture usually have certain ingredients (as described by Stephen Cohen). Firstly, a long-term culture with long-term goals will keep people invested in your vision. Amazon’s culture is the paragon of long-term, where Bezos has been able to attract and keep top talent with stock options despite relatively low salaries. Secondly, all startups should foster an innovative culture that emphasises creativity. Lastly, a culture that nurtures talent as much as possible will enhance your assets (and help bring top hires to your company). Aside from this, your company culture is a blank canvas. Pick a vibe and run with it. For example, PayPal had a very homogenous hacker-like culture to begin with, which allowed for good communication and rapid group coding. Pick a vibe that fits with your business goals and stick with it! How do I tend to my startups’ culture when recruiting? 1. Dogs and pizza ovens in the office are not culture, but can be good story-tellers. You hear a lot about of the cool perks that come with working for a startup. These are good for a healthy workplace, but have little to do with company culture. However, office quirks can be great for signaling what you want your culture to be. For example, the desks at Amazon’s offices used to be made from second hand doors as cheaply as possible. If anyone asked why, Jeff Bezos would explain how they’re all about handing back value to the customer. Similarly, Andreesen Horowitz wanted to be a VC that showed respect to startup founders (unlike many most VC’s) so they made it a rule that all employees had to pay $10 per minute they were late for meetings with startups. These tricks help communicate your values to potential employees. 2. Be honest about your company’s culture. This one’s pretty straightforward: don’t project a false image to potential hires about what your company’s like. Just because you really want to hire someone doesn’t mean you should tailor you value message to fit the candidate. They’ll find the truth pretty quick, and lose respect and enthusiasm for your company in the process. 3. Indoctrinate new hires, especially older people. We’ve already explained that culture can’t be fully controlled and must be let evolve on it’s own, but you need to communicate a consistent vision to new hires. This is particularly true during expansion, when you might be hiring experienced businesspeople to manage. These guys have been around the block with other companies, and won’t be as malleable as a recent graduate. All the more reason to communicate a consistent vision to each one, and try get them up to speed on the unwritten ground rules we mentioned earlier. You don’t have to be a cult, but it’s good to get everyone singing from the same hymn sheet!